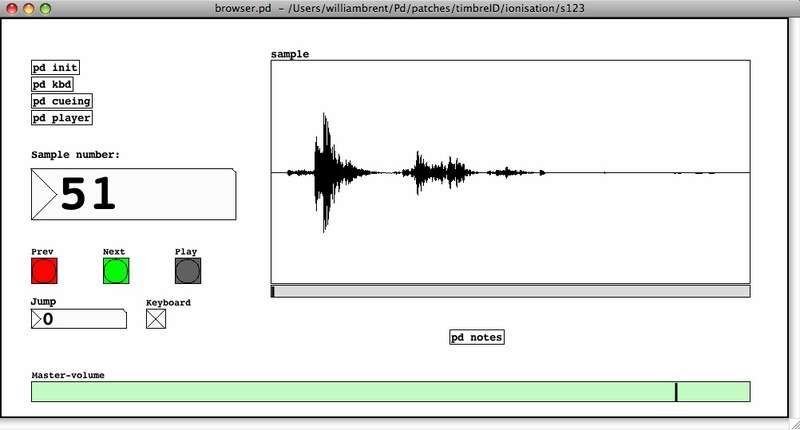 Course Description: This course introduces audio synthesis using the Pure Data (Pd) programming environment with a focus on understanding exactly why the sounds we’ll be making behave the way they do. We will work through many standard synthesis techniques, learning reliable strategies for managing control information and sequencing as we go. There are several assignments to complete. It is essential that you keep up with these tasks—if you’re stuck on any aspect of an assignment, don’t hesitate! See me for help as soon as possible. Your final project will involve the creation of a short piece in Pd that incorporates at least three of the synthesis techniques we cover. Course Description: ATEC-101 introduces the subject of audio technology via physical and perceptual aspects of sound itself. The characteristics of a variety of microphones and loudspeakers are considered from both technical and aesthetic points of view. The anatomy of other hardware present in a typical signal chain will also be covered. Essential digital audio concepts will be explained and, when possible, demonstrated through clear example. This background will inform our understanding of the digital signal processing behind some common plug-in utilities and effects. We will close with issues related to modeling space in stereo and surround sound configurations. There will be two assignments over the course of the semester, providing the opportunity to engage with course material in a more direct fashion. In combination with the practical experience offered in ATEC-102, this will solidify some of the information covered in Rumsey and McCormick’s extensive textbook. Course Description: This introductory course gives students exposure to audio editing, standard recording techniques, and the associated software and hardware tools. Students will engage with the details of microphone placement and orientation, hearing the results of different techniques in the process. Through classroom example, hands-on experience, and a visit to a professional recording studio, they will learn how to set up a recording session and perform basic editing in the ProTools environment. Independent and collaborative working strategies will be used to cover these fundamental skills. A final group project will draw on experience gained during the course, giving students the opportunity to produce a polished recording from start to finish. Course Objectives: Give students an understanding of all elements that require consideration in recording; provide a general understanding of musical instrument acoustics as it relates to the capture of sound; provide an overview of digital signal processing (DSP) basics; expose students to both standard professional recording/editing software and the open source alternatives; provide the opportunity to work directly with musicians in a recording environment; visit a state of the art professional recording studio. Expectations: Because this course will cover a lot of material in a hands-on format, students are expected to attend all classes and arrive on time. The ability to work well in a collaborative environment is crucial, as much of the work requires a group effort. Basic computer skills will be helpful, but are not required. Textbook (optional): Alten, Stanley R. 2008. 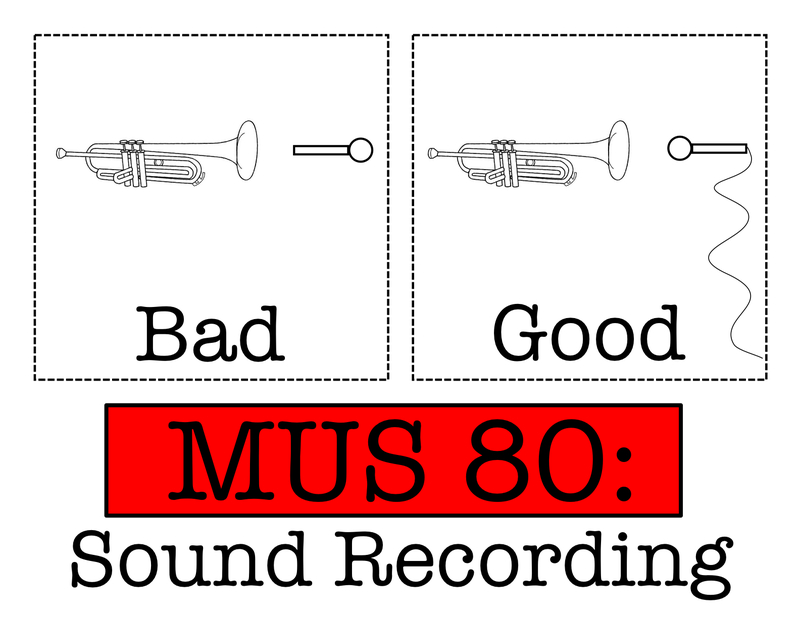 Audio In Media, Eighth Edition. Belmont, CA: Thomson Wadsworth. I: Introduction to the basics of musical acoustics: what are the characteristics of musical sound and how well can we capture them? Introduction to modern recording technology, including software (ProTools, Audacity, Ardour), links in the hardware chain (dynamic and condenser microphones, preamplifiers, analog-digital converters), and digital signal processing (DSP) fundamentals. II: Microphone techniques. Students will research the effects of miking techniques as well as spatial location, and create a plan for capturing a specific effect. Working in an instructor-guided session, students will have the opportunity to carry out their plan by recording a live musician. A survey and analysis of the results will follow. III: Editing techniques. Students will be introduced to the basics of mixing and editing in the ProTools environment. Based on previous research and experience, they will form groups to create a specific recording plan, run a recording session, edit the results, and produce a polished final recording.